1) What does the Income Tax Department consider as income? 2) Are all receipts considered as income? Receipts can be classified into two kinds. A) Revenue receipt B) Capital receipt. 3) What are revenue and capital receipts? A) In a simple language, all that one derives from a source is called revenue receipt. For ex. Salary from employment, Rent from property, Interest or Divided from Investments, Profits from business. When an income is earned on account of transacting the source itself, it is called Capital receipt. For ex. Sale of land and building, business, investment etc. 4) Is income tax levied on gifts received by a person? 5) I own shares of various Indian companies and receive dividends. Is it taxable? A) No. The dividend declared by Indian companies is not taxable in the hands of the share holders because tax on distributed profits have already been borne by the company. 6) I am a religious preacher and earn money from preaching. Do I have to pay tax and file return? 7) Can I claim deduction for my personal and household expenditure in calculating my income or profit? 8) Most of my income is given away in charity and I am left with just enough to meet my personal requirement. What will be considered as my income? A) What is done after the income is earned does not determine its taxation. However charitable contribution to approved institutions will give you the benefit of certain deductions from taxable income. 9) My daughter stays in USA. She owns a house in India and has let it out. She has asked tenants to pay rent to me so that I can a lead decent life. She has not received any rent. Is she still liable to tax? What if she transfers the house to me? A) Your daughter is the owner of the house and therefore she is liable to pay tax even though you receive the rent. If the house is transferred, then you would become the owner and you will have to pay tax on the rental income. 10) My children living abroad send me Rs.20000/- per month for my maintenance. Would this be considered as my income? 11) Is there any limit of income below which I need not pay taxes? A) At the moment individual, HUF, AOP, and BOI having income below rupees one lakh need not pay any income tax. For other categories [persons] such as co-operatives societies, firms, companies and local authorities no such exempted limits exists, so they have to pay taxes on their entire income. In cases of senior citizens aged above 65 years and women the exempted limit for the financial year 2007-08 are rupees one lakh ninety thousand and one lakh forty thousand respectively. 12) I am an agriculturist. Is my income taxable? Your agricultural income is not taxable per se. However, if you have any other source of income like income from investments, property etc, while calculating tax on them, your agricultural income will be taken into account, so that you pay tax at a higher rate on that other income. 13) What is agricultural income? A) To consider an activity as agriculture the basic operation such as tilling, sowing, irrigating & harvesting should have been carried out. Thereafter what is sold in the market should be the primary product harvested. Receipt from such sale is considered as agricultural receipt. If however some further processing or modification were done to the harvested product to enhance its marketable value then such enhanced value would be considered as business income. 14) Is income from animal husbandry considered as agricultural income? 15) Do I have to maintain any records or proof of earnings? A) For every source of income you have to maintain proof of earning and the records specified under the IT Act. In case, no such records have been laid down, you should maintain reasonable level of records with which you can support the claim of income. 16) As an agriculturist, am I required to maintain any proof of earning and expenditure incurred? A) Even if you have only agricultural income you are advised to maintain some proof of your agricultural earnings. 17) I win a lottery or prize money in a competition. Am I required to pay taxes on it? 1) How does the Government collect Income Tax? A) Taxes are collected by three means: a) voluntary payment by persons into various designated Banks. For example Advance Tax and Self Assessment Tax b) Taxes deducted at source [TDS] on your behalf from the payments receivable by you. c) Taxes collected at source [TCS] on your behalf at the time of spending. 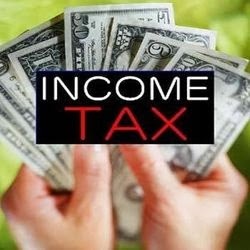 It is the constitutional obligation of every person earning income to compute his income and pay taxes correctly. 2) How will I know how much Income tax I have to pay? A) The rates of income tax and corporate taxes are available in the Finance bill [commonly called budget] passed by Parliament every year. 3) Does every person have to keenly follow the annual Finance bills? 4) When do I have to pay the taxes on my income? A) Generally the tax on income crystallizes only on completion of the previous year. However for ease of collection and regularity of flow of funds to the Government for its various activities, the Income tax Act has laid down payment of taxes in advance during the year of earning itself. Taxes may also be collected on your behalf during the previous year itself through TDS and TCS. If at the time of filing of return you find that you have some balance tax to be paid after taking into account your advance tax, TDS & TCS, the short fall is to be deposited as Self Assessment Tax. 5) What is the procedure for depositing tax? A) A form called Challen available in the Income Tax department, in banks and on the IT department web site should be filled up and deposited in the bank along with the money. Taxes can also be paid on-line. 6) In the challan there are terms like Income tax on companies Income tax other than companies. What do they mean? 7) How is Advance tax calculated and paid? 8) What is regular tax and how is it paid? A) Under the Income tax Act every person has the responsibility to correctly compute and pay his due taxes. Where the Department finds that there has been understatement of income and tax due, it takes measures to compute the actual tax amount that ought to have been paid. This demand raised on the person is called Regular Tax. The regular tax has to be paid within 30 days of receipt of the notice of demand. 9) What are the precautions that I should take while filling up the tax payment challan? 10) Do I need to insist on some proof of payment from the Banker to whom I have submitted the challan? A) The filled up taxpayers counter foil will be stamped and returned to you by the bank. Please ensure that the bank stamp contains BSR[Bankers Serial number code], Challan Identification Number [CIN], and the date of payment. 11) How can I know that the Government has received the amount deposited by me as taxes in the bank? A) The NSDL website [http://www.tin-nsdl.com] provides online services called Challan Status Enquiry. You can also see your tax pass book, an online tax credit viewing facility in the same website. 12) What is the procedure to be followed to view my Tax passbook/Tax statement? A) You must first register your PAN by logging into the online service called view tax credit in the NSDL website [http://www.tin-nsdl.com]. Thereafter your PAN registration must be authorized by visiting the nearest TIN [Tax Information Network] facilitation center of NSDL or getting their representative to call upon you. These are paid services. 13) What should I do if my tax payment particulars are not found against my name in your website? A) For payments deposited by you into the bank you will have to contact your bankers if the credit has not been given even after three days. In case of TDS or TCS you will have to contact the concerned deductor /collector after the due date for filing the quarterly TDS/TCS return by them is over. 14) Is my responsibility under the Income tax Act over once taxes are paid? A) No. You are thereafter responsible for ensuring that the tax credits are available in your tax passbook, TDS/TCS certificates are received by you and that full particulars of income and tax payment along with necessary proof is submitted to the income tax department in the form of Return before the due date. 15) What can I do to reduce my tax? A) The tax can be reduced by making investment in approved schemes and also by making donations to approved charitable institutions.